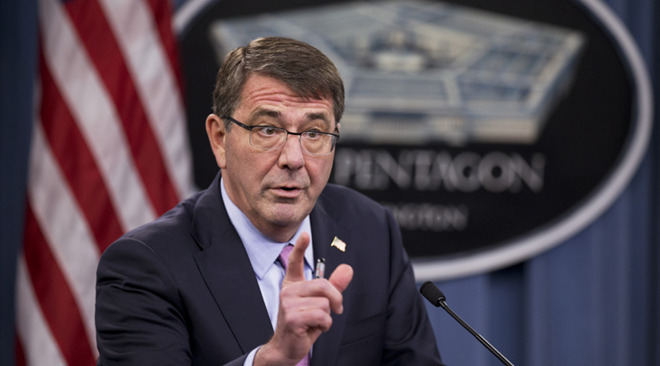 The Pentagon wholeheartedly supports strong encryption and opposes efforts to add back doors to secure software, Defense Secretary Ash Carter said at a cybersecurity conference on Thursday. While Carter refused to comment on the Apple case specifically —calling it a "law enforcement matter" when asked —he did say that for departments within his purview, "data security is an absolute necessity. We're foursquare behind strong data security and encryption." He later added that he is "not a believer in back doors or a single technical approach to what is a complex problem," according to the AP. Carter also noted that addressing the current divide between Washington and Silicon Valley will require cooperation from both sides. If the parties refuse to come together, it could result in legislation "written by people who won't have technical knowledge, maybe written in an atmosphere of anger or grief," he said. The net effect of such legislative reaction could cause more harm than good.